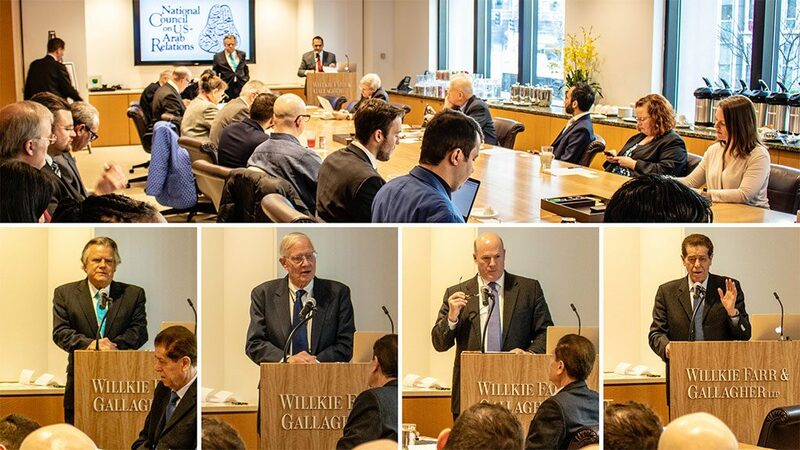 Specialists at the National Council’s February 6, 2019 public affairs briefing included Dr. John Duke Anthony, Dr. Anthony H. Cordesman, Mr. David Des Roches, and Dr. Elias Samo. Dr. Anthony H. Cordesman, Arleigh A. Burke Chair in Strategy at the Center for Strategic and International Studies. Dr. Elias Samo, Adjunct Professor at American University’s School of International Service and a Distinguished International Affairs Fellow at the National Council on U.S.-Arab Relations. This entry was posted in NCUSAR, Syria.